I am always looking for gifts that are elegant, fun and memorable for the special people in my life. We all have the ones that are a challenge to shop for. This may be your boss, mother, mother in law, teachers, co-workers, and the list goes on and on. I am so excited to tell you that I have found the PERFECT gift for those women! 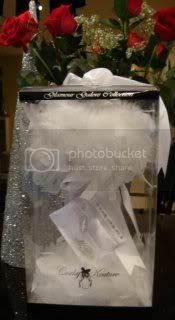 Corky Kouture “Glamour Galore Collection” is an upscale presentation packaging that works for so many things! Corky Kouture can be used to package Wine, Champagne, Liquor or Non-Alcoholic drinks. One’s gift giving opportunities and personalization are limited only by ones imagination! Lisa Riedel is the founder and designer for Corky Kouture Collections. She is amazing and has such passion for the products! I had the opportunity to chat with with Lisa and asked her about how she got started. She had a few things to share with me. 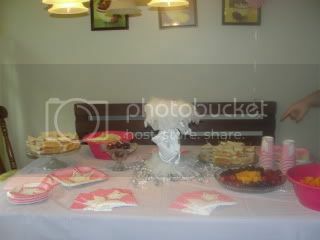 I had the opportunity to use my Corky Kouture this weekend for my daughter’s birthday party. I mentioned Corky Kouture has endless possiblities. We used it as a centerpiece for her party. It was a huge hit! Look how elegant it looks! I received so many compliments on the centerpiece! This would be a fabulous as a gift because it functions as decoration and an elegant gift! It makes a huge statement! It is fun, flashy and elegant all rolled into one. It was perfect for our Princess Party! I used a bottle of Chardonnay inside the Package. And when the party was over and all the children had left the adults were able to enjoy a glass. This is perfect for any occasion or no reason at all! 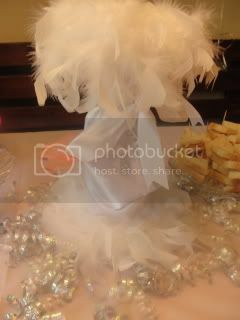 You can personalize and commemorate the occasion by embroidering or the ribbons or the card holder. Or you could make labels for the footer on the box. There is a card holder with a zipper where you could include a gift card or a note to the recipient. 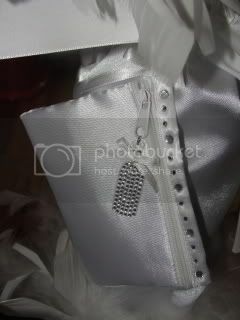 Here is an example of an embroidered gift pouch for a wedding gift. The initials of the couple are on the front and the date on the back. There is a bottle of Perrier Jouet in the sleeve. I highly recommend the Corky Kouture Collection! You should consider purchasing one or several for mother’s day and graduation parties as they are right around the corner! Buy It: The regular retail value on a single Corky Kouture is $34.99. **SPECIAL PRICE** have offered a special price for Living on Love and Cents’ readers for a limited time! For Living on Love and Cents readers it will be $24.99. But you MUST CALL Becky at Intromark ( 800) 851- 6030 and tell her you are calling from Living on Love and Cents. They are also available by the case at a wholesale price. You can ask Becky about this when you call. They are available in 4 colors: black/white/red/pink. Each color is stunning! One Living on Love and Cents reader will WIN a Corky Kouture in the color of your choice! Tell me which color Corky Kouture you love.